Think Pinterest is only for inspiration and driving blog traffic? 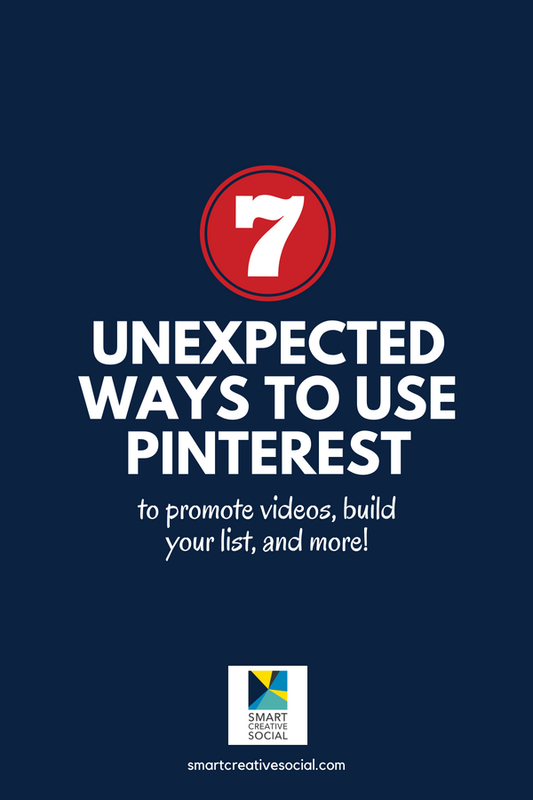 I’ve been using Pinterest in these 7 unexpected ways for years. You’re going to love these ideas for using Pinterest in totally new ways! Once the image is created, upload it to Pinterest. Paste the url of the Youtube video into Pinterest and create a keyword rich pin description with both broad and specific hashtags. Make sure that the description communicates that the pin leads to video content so that the user is not surprised, expecting a blog post instead of a video. Want to know how to use hashtags on Pinterest like a PRO? Get this free guide! Did you know you can upload videos to Pinterest? 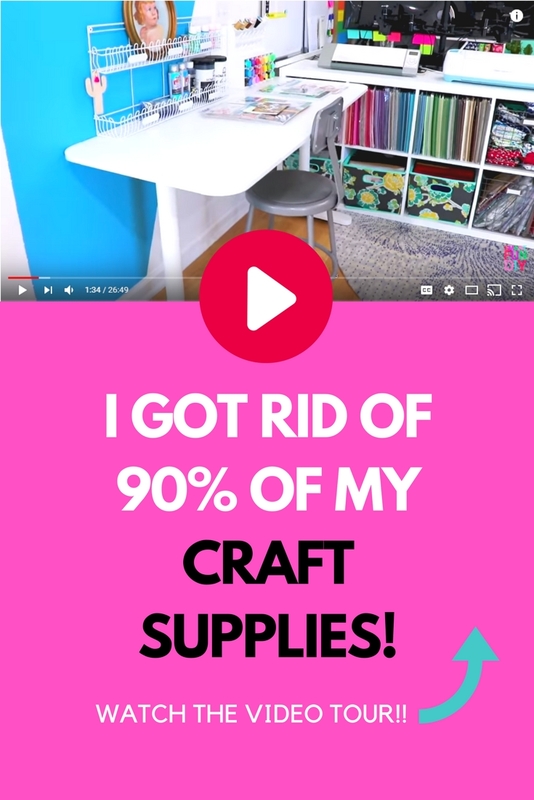 It used to be that videos were only allowed for promoted pins but you can totally upload videos directly to Pinterest. We started doing this a few months ago. After you upload the video, Pinterest will prompt you to promote the video but you can skip this step. Save the video url and you can start repinning it to new boards over time. Create a square or vertical video. Set the url to the Youtube video. Add a keyword rich description with hashtags. Sites like Facebook don’t allow you to pin from their site. Luckily, there’s a work around that allows you to create pins that direct to any url! When would you want to create a pin that directs to a social media post? Ready to expand your mindset about Pinterest and get incredible results? Request an invitation to Smart Pin PRO here. Pinterest is all about discovery. And to help with that discovery, Pinterest has lots of tools to help you find new things to experience, including what’s trending. Pinterest sends out emails to marketers about current trends; sign up for them here. But Pinterest also shares trending topics right on their site. Click the Discovery button and browse the trending topics through a series of tiles. Pinterest has two types of search that help you identify keywords. Type any word into the search bar and a drop down menu will appear with suggested keyword combinations. Make a note of the keywords to use on your pins. After clicking “enter”, Pinterest will display a page with the search results for that keyword term. Just below the search bar will be a series of bubbles with additional key word combinations in them. These “guided search” bubbles are clues to additional keyword combinations to include in your pin descriptions, text overlays, boards descriptions, and even in your blog posts. Send traffic directly to your landing pages with your email opt-ins and lead magnets. Upload your pin images directly to Pinterest and direct them straight to your landing pages. Want to build your email list with lead magnets? Don’t know what those are but you want them anyways! (I get it … *wink*) Sign up for the Build Your List Challenge! Check the program terms for the affiliate program to check if it allows you to pin affiliate links. You can also use a service like ShopStyle to pin affiliate links. Create a pin graphic and upload it to Pinterest, leading to the affiliate url. Be sure to disclose the affiliate relationship in the pin description so that you are compliant with the FTC guidelines for disclosures. My corporate clients use Pinterest for this all the time; we monitor their competitors through secret boards! We pin content we want to watch to secret boards and also watch performance of competitors over time. Pinterest is a great way to secretly keep tabs on the competition. Want more expert methods of using Pinterest to the max? Request an invitation to Smart Pin PRO here.